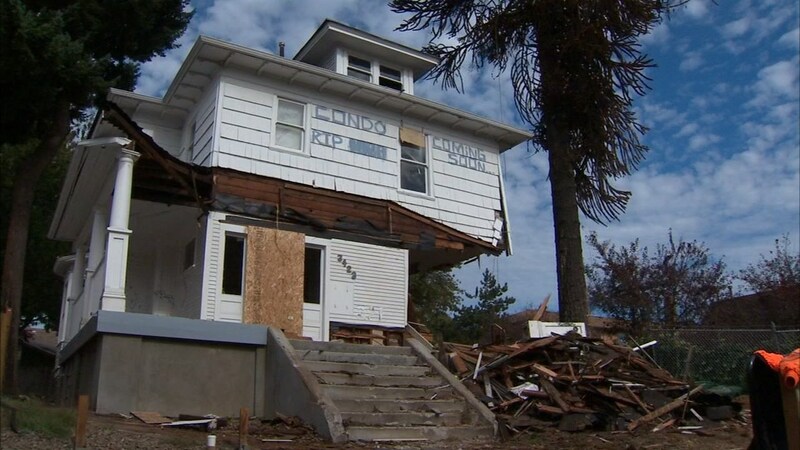 Mayor Hales recently proposed a $25,000 fee on home demolitions as a means to reduce the number of teardowns and also provide money for affordable housing. Simultaneously, the demand for housing exceeds the supply, which has caused rent increases for many Portlanders. Weaved into this conundrum are low-income households being hastily evicted from their rental units due to landowners realizing they can make two to three times more money if they renovate or tear down and reconstruct their existing property with a larger apartment complex. And finally, how can we forget our warming world, which is helpless to stop climate change, but provides everything for us to keep warming the world. So while the real issue discussed in this work is indeed housing, there are many different interconnected problems associated with a living in a residence that need to be addressed. I won’t claim to have all the perfect answers, but we really should integrate housing and climate change together to create a more robust solution. But let’s first talk housing: can we solve this “housing crisis” in Portland? Humans are smart, so the answer is certainly yes, but the solutions are not written in a book. Solutions must be conceived while considering all the interconnected problems of demolitions, housing supply, low-income housing, and climate change. Then like magic, they should be solved simultaneously. So, to start solving our problems, let’s begin with a very short history lesson and fundamental human problem: humans like growth. Population and the housing shortage all have one thing in common right now. They are growing. The Portland-City area is rapidly developing its vacant lots and houses are being destroyed to make room for larger apartments (hence the measures to stop house demolitions). While growth of housing is good to accommodate population growth and the housing shortage, the quantity of housing units still cannot satisfy demand, thus housing and rental costs increase. The simple solution is to provide more housing faster. But, if that particular solution was so simple, then this wouldn’t be called a housing crisis. Multnomah County and the City of Portland have recently joined efforts to address the housing crisis by pledging $67 million toward low income housing. The pledged capital is a good start, but it’s going to be a long journey to provide housing for lower incomes. Estimates by the NW Pilot Project indicate there is a deficit of 23,000 0-30% Median Family Income (MFI) housing units (2011 data). Meaning, the poorest either have to rent in a higher MFI group (31-51% & 51-80%) or forced to live homeless. Put crudely, while working homeless people may save money by not paying rent, a regular human must work 80 hours on a minimum wage salary to afford a single bedroom apartment. You might think, (“Oh, well can’t they have housemates?”), the answer is yes, BUT the landlord may not want to have TWO at-risk renters barely able to make ends meet. Financial security is important for both parties, which is why dedicated funds to affordable housing are needed. Of course affordable advocates will groan at the failure to pass an inclusionary zoning measure in the Oregon State Legislature this year, but there is always next year (there is still team to beat Texas to pass a measure) and there are other methods to raise funds. The Welcome Home Coalition put together a comprehensive list of funding mechanisms as of last year. Some of the most promising applicable funding mechanisms may be: an increase of the tourist tax as it is one of the lowest in the country, an increase in property taxes, or an increase of the business tax. In any case the document is a good read and these mechanisms need to be pursued to increase the low-income group’s stability. This means we will have to pay, but this also means other social services related to stress (police, domestic abuse, etc.) won’t have to use their meager budgets to provide those services, or also petition for more funding. Lastly, secured long-term funding mechanisms also have a good chance of growing (so growth is good for once). Other potential solutions to the housing crisis return to increasing housing supply, which is more complicated. While the supply of housing needs to be increased, support from neighborhoods in the City must be needed. A failure to construct enough housing fast enough will undoubtedly create another San Francisco housing crisis, which was created partly from citizen distaste for the construction of high rise buildings in their neighborhoods. So while I love the idea of everyone owning their own small craftsman-style houses built in the early 1900s, I regret to inform Portlanders that the Portland dream is past. 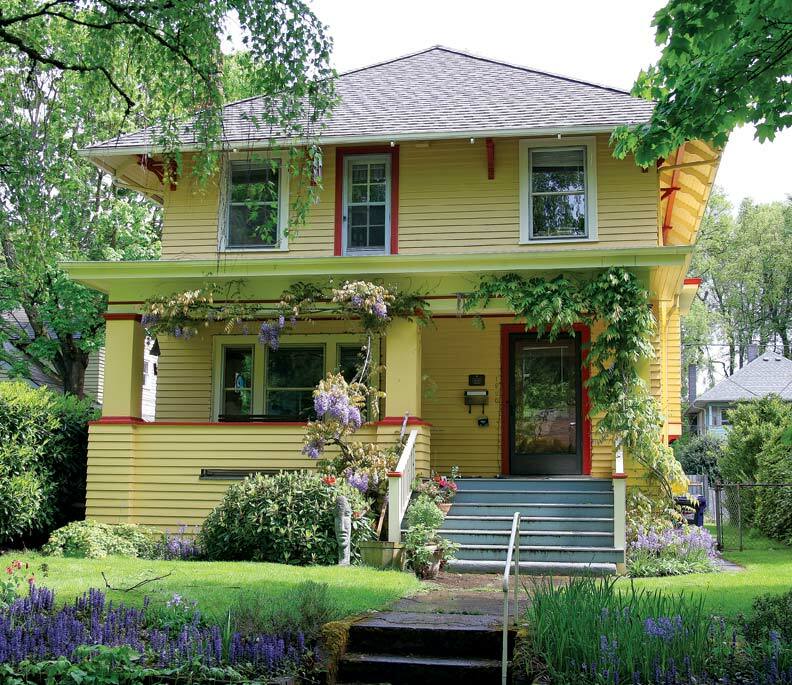 The good news is that if we allow A) larger buildings to pepper our neighborhoods, B) relax costs to construct Accessory Dwelling Units (ADU) in our back yards, and C) allow for converting existing single-family homes to multi-family homes, some will be able to afford to live in a classic craftsman house we adorn. However, if we don’t allow for increased density in our neighborhoods, only 1% of the population will be able to comfortably afford those houses, which is effectively a population of no one. Did you know that dreams can be nightmares too? Anyway, we must allow increases in density everywhere or else Portland will be a City we don’t recognize anymore, which is one such narrative being written in San Francisco today. While we must increase our density, we should set on a cunning course to not only achieve victory in Portland, but also win the world’s heart. Inconveniently, the world’s heart is beating faster and faster every day. We all are guilty of changing the climate, but some people and some buildings are more wasteful than others. For context, buildings and power plants (supplying electricity to buildings) represents approximately one third of CO2 emissions. The State of Oregon has goals to reduce its carbon emissions 30% by 2020 from 1990 levels. To achieve these goals, a simple action would be to reduce the carbon footprint of ALL buildings by a third. While this action may sound easy, they don’t call this a housing and climate change crisis for nothing. The best time to make energy efficiency upgrades to houses is when a citizen must submit a permit application, which are issued typically during major renovations or when a new building is constructed. Therefore, provisions could be written to prescribe improvements to a building’s energy efficiency. The amount of energy reduced by these upgrades has been generally quantified by Energy Trust of Oregon and so the gears to correlate the costs and benefits of energy efficiency upgrades appear to exist. However, the last cog in the gear is the carrot and/or stick mechanism. A commonly known but seldom implemented measure is called a “Fee-bate”. In short, homeowners who waste the most energy pay extra to provide funds for energy efficiency improvements and programs to save the energy they waste. The only hitch is, well, we have to pay for this. The cost doesn’t have to be much (like the arts tax) and there must be ways to easily administer the fee due to the existing energy efficiency programs and electricity bills. But these upgrades shouldn’t stop here. Because ecological goals won’t be met by charging a $25,000 fee to demolish houses, could we modify the fee’s goal to that end? How about forcing the developer to construct an ‘Eco-haus’ when they desire to tear down an existing house. 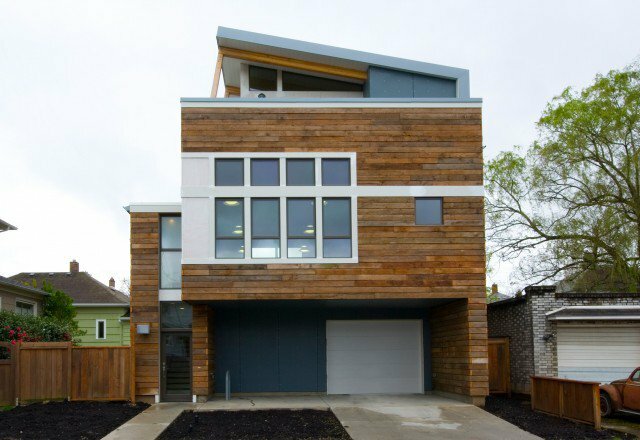 This ecologically sound home emits 80% less energy than a typical house and usually includes solar panels. Forcing developers to construct eco-hauses may cost more than $25,000, but would make strides toward the State’s energy reductions goals and would decrease the number of demolitions. One loss is that low-income families would probably not qualify to live there. However, in time the Oregon State legislature will pass inclusionary zoning measures, hopefully before Texas. Finally, when a renovation occurs, reducing emissions could be made through a semi-unintuitive approach. Since apartments typically emit less emissions per capita than houses (partly due to seepage heat of adjacent units), then doubling the unit-occupancy of the house would theoretically decrease the emissions per-capita of a home. The biggest question mark with repurposing existing houses is upgrading a 1920s house to a 2010s housing code, which may be one of the largest renovation house costs. Therefore, are there solutions to relax the building code to make a renovation less expensive? There are already some homeowners who have “Cheated” the system by making a renovation look “Original” to forgo an additional permit cost. Furthermore, we are in a housing crisis and not necessarily a fire or accessibility crisis. The lawyers may be drooling over the riches they see in this new-risk area, but remember that the low-income tenant simply needs a roof over their head, not necessarily a bullet proof roof. Also, adding to an existing unit may also decrease the overall per-capita emissions due to consolidating the residence. So at the same time people may profit for investing in a renovation, the world profits as well. If there is anything we can learn, it is from other housing mistakes made in the past from different cities. The Portland housing crisis didn’t arrive overnight and we certainly won’t be able to solve it in a week. Now since it has arrived, there are a few key elements we should remember when moving forward. 1) Think beyond the housing crisis. If we look only at solving the housing crisis we will miss the ecological problems looming in the air. While we will pay more upfront to solve those problems, we will continue to earn valuable capital (sustained energy savings) from that point forward and Portland will be at the forefront of innovation to solve the world’s complexities. 2) Stop clinging to the past. If you talk to any Portlander, they will rant about how much Portland has changed. Remember how the Belmont goats were on Belmont? Back in the day, a cup of Stumptown was $1.00. I could buy a craftsman in Sunnyside neighborhood in the year 2000. We cannot return to that dreamy day even though we still want to wish that moment back. If we continue to cling to the past, then that dream will become increasingly more distant and all of a sudden the thought of homeownership will be like owning a Ferrari. 3) Sticking together and relaxing standards will cost the least. We all take responsibility in this housing crisis and the solutions are similar to helping a friend or neighbor move into a new house. You can’t move a couch all yourself, but when two or three people help, it’s a breeze. Also, let’s help decrease housing costs by relaxing the standards and permit restrictions which have slowly by surely increased housing costs. While some standards are warranted, some do not reflect the housing crisis permeating through this City. Let’s reflect on the necessity of these standards and monitor how changes to them impacts housing costs and benefits. If we do nothing to change we fail. If we do something we can’t fail because we will understand what measures worked or produced meager results on decreasing housing costs for us all. Mayor Hales is the leader in our City and he is trying to make steps to solve the housing crisis by implementing a $25,000 fee on teardowns and pledging $67 million to low-income housing. His response is natural due to groups clamoring against the housing destructions running rampant throughout Portland and homelessness. People have rapidly migrated to Portland because the City has great attractions and a low cost of living. These reasons have contributed to the housing crisis and have changed the Portland dream. The tighter we cling to the dream, the faster it will slip through our fingers. We as citizens need to be educated on why housing changes are occurring because then proposed solutions will become more evident, more amenable, and we can understand that we are in this together. Personally, I didn’t know much about housing before I started this housing research to try to conjure up solutions. My solutions are definitely not perfect, but there doesn’t seem to be writing about connecting housing with the bigger picture of ecological goals. Our life isn’t as simple as a one-time fee of $25,000 or $67 million to solve a problem. Living in a house is complex as we often have housemates, significant others, or kids. The main point is we have to live with them. We have to live together. Great stuff. I like your points a lot. I woukd consider changing the neoliberal paradigm by raising the min wage, free and proactive healthcare for all, free education, and dense housing blocks with participatory work/governance of urban farms/gardens.